Taking cooling and electric heating to the MAX by offering the highest available capacities. 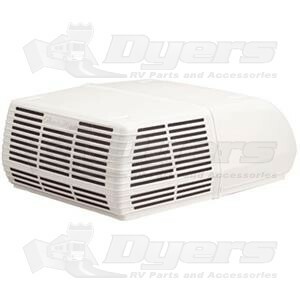 Air conditions your RV with a whopping 15,000 nominal BTUH cooling capacity. Economically heats your RV also, with 12,700 BTUHs of available heat. A back-up electric heat strip provides additional heat for those extra chilly mornings. HP2 provides electric heat to use in moderate temperatures; lets you save your LP gas furnace for the really cold conditions. Copper tubing is rifled inside to create turbulence in the coolant, enhancing the system’s ability to dissipate heat.